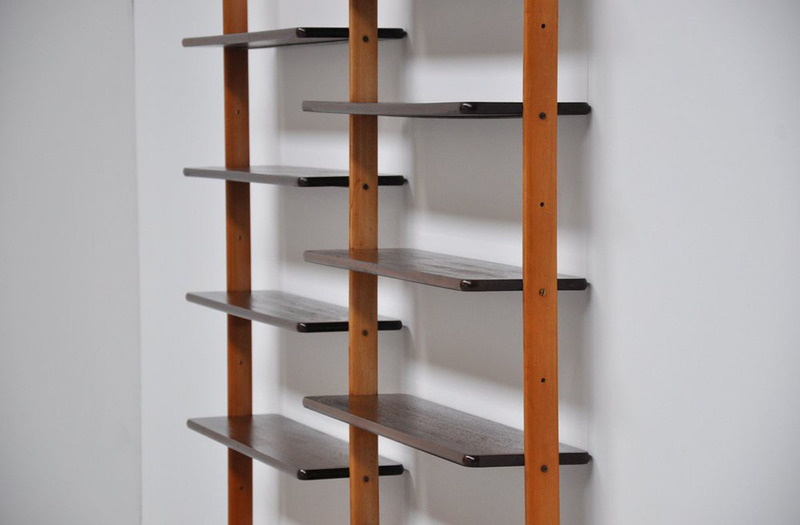 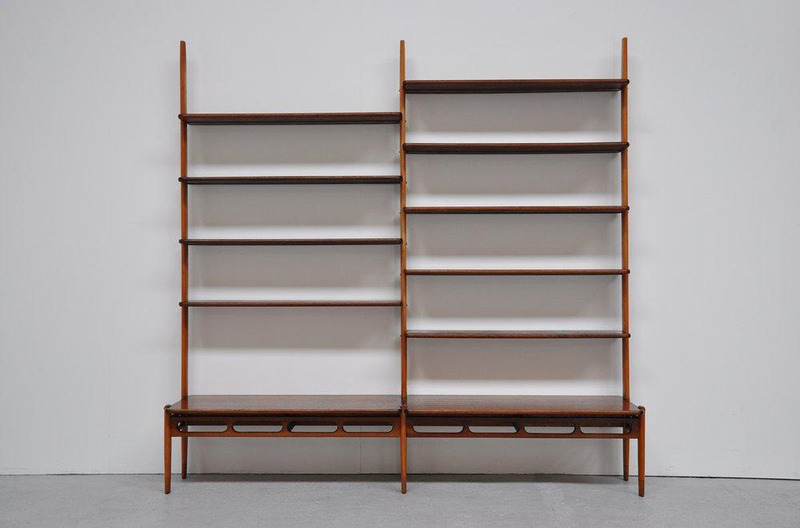 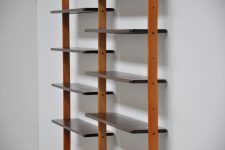 Beautiful Danish modern bookcase unit by William Watting for Scanflex, Denmark 1950. 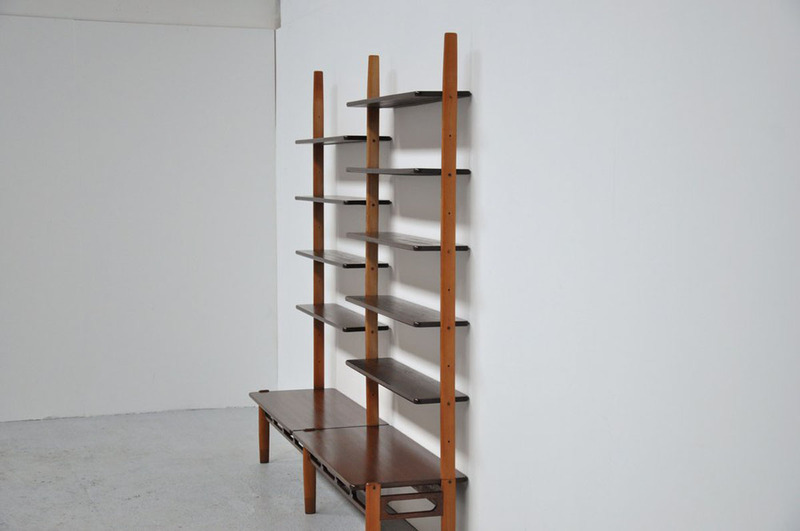 This nice bookcase was made of oak and massive teak shelves and is in very good condition. 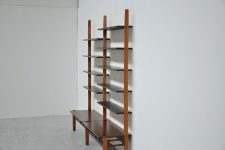 Marked William Watting Scanflex at the back. 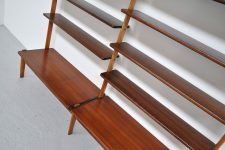 The shelves hang using a supporting tension bar made of brass, very ingenious system.